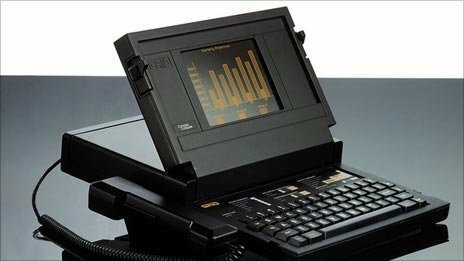 The designer of the first laptop, the Grid Compass computer, has won the 2010 Prince Philip Designers Prize in the UK. Bill Moggridge designed the world’s first laptop, which was, according to the BBC, sold for $8,000 and used on the Space Shuttle in the 80’s. Moggridge, currently the director of the Smithsonian Cooper-Hewitt National Design Museum, won the UK’s longest running design competition (set up in 1959) for the laptop he created in 1979 and beat out Dame Viviene Westwood among others for this year’s prize. We previously said that this early laptop was the first, but in fact, it would seem as if the Grid Compass (have to love the fax-like phone on the side right?) was actually first, though the Toshiba one was one of the first commercially available laptops.